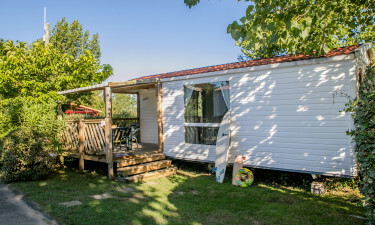 Bordering Spain, this welcoming holiday camping site and lush surroundings are on the Basque country coastline, between Biarritz and San Sebastian. The Camping Atlantica luxury camping site is in the delightful town of Saint Jean de Luz, in southwest France. Apart from comfortable and deluxe mobile home accommodations and water sports, this charming French coastal town boasts an impressive church and palace, ideal for visitors who love absorbing local culture. For those who want an unforgettable camping holiday, this premier LuxCamp is sure to deliver. 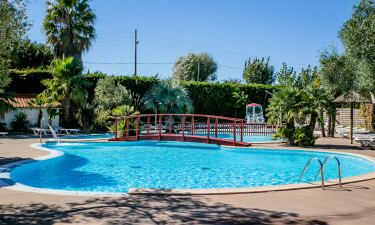 Camping Atlantica boasts two heated swimming pools for adults, as well as a third paddling pool for children. There are free aqua gym classes in season, while the poolside areas are furnished with parasols, sun loungers and deck chairs for guests to rest and unwind. 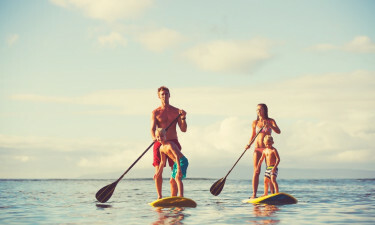 The nearest beach is only 600 metres away, so is convenient for swimming, surfing, diving and jet skiing, or relaxing and sunbathing, or as the perfect place to watch a spectacular sunset over the ocean.